All 32 Scottish councils will refuse to implement the conditions of the bill when it becomes law. 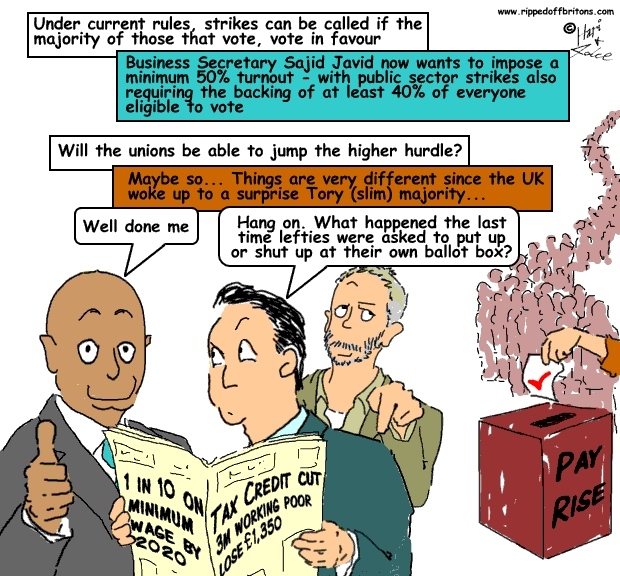 Those conditions include removing the process of check-offs whereby union subscriptions are deducted from the salaries of workers who are members of a trade union. Unions have complained that this is a cynical ploy to reduce their funding and will waste their resources in renewing subscriptions. They are also infuriated that the bill constrains the amount of paid time off that public sector union representatives can take for those responsibilities, a move the authorities will also oppose. Union leaders believe the move could help turn opinion against the bill across the country, in a repeat of Margaret Thatcher’s Poll Tax debacle. Opposition to the hated levy started in Scotland, where trials were run in 1989, before it was dropped and replaced by the Council Tax four years later.